Meet Airtame – possibly the easiest way to wirelessly display on bigger screens. All you need is to plug Airtame to a screen and connect to it with an app and it’s goodbye to cable clutter! Airtame is a platform-agnostic, wireless HDMI streaming solution. It works with a desktop app and a device that plugs into your TV or projector. It’s cross platform, works with enterprise networks, and is designed with schools and businesses in mind. It works great for just about all of your daily meeting room setups. Besides that, you have the option of showing custom content and digital signage from app integrations such as Trello, Unsplash, Google Slides and World Clock. Visit the official website for more details and the full list of integrated apps. Why use Airtame for your business? Why should anyone invest in Airtame if you already have an existing teleconferencing or streaming solution in place or if you have never thought about setting up such resources before? Well, the right tools can take the hassle away from meeting room equipment troubles and digital signage problems. That’s what Airtame does to increase business productivity and simplifies office routines. Studies show that 37% of employee time is spent in meetings, and a great deal of that time is taken up by figuring out equipment and connections. The numbers are even higher if it involves video conferencing and other more complex technical setups. Meeting room equipment shouldn’t take focus away from productivity, yet that’s often the case. Having Airtame in meeting room environments helps bring focus and concentration. Just plug Airtame into your screen, download the Airtame app and you’re ready to go. It’s easy to configure and customise, and it looks great sitting idle too. It gives the workplace better flow without the inconvenience of regular setups. Related Post: Who is Perry Jian Kangyue - the Singaporean guy charged with damaging an ambulance in London? Forget spinning monitors around so others can see the screen. Forget hooking up cables and other devices, and tripping over and breaking them. Forget worrying about what hardware visitors or team members from outside the office utilize – Airtame works with all. In many businesses, buying new and fancy tech equipment is an action of rarity, one that comes with a tight budget. 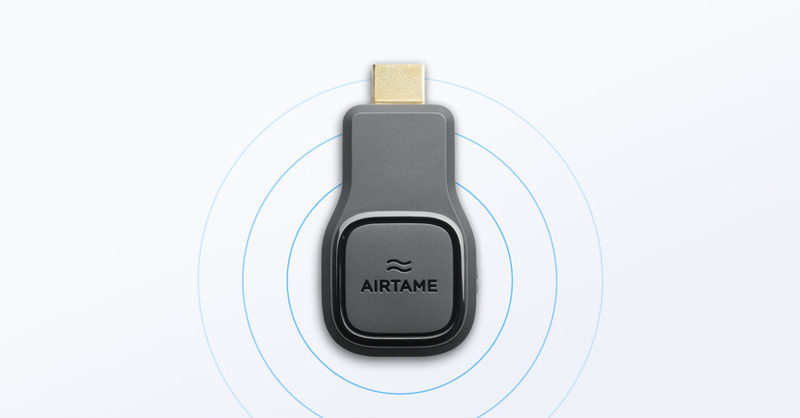 Airtame is cheaper than most competitors with a starting price of only US$299 but offers the same or more features. Check out these comparison articles about similar products versus Airtame. With their 30-day trial policy, it’s risk-free to give Airtame a try – simply get a refund if you find that it doesn’t work for you at the end of the day. Hence don’t hesitate to buy Airtame if you’re still unsure it’s the right fit for your business. If you end up not liking it after the 30-day trial period, you can return it for whatever reason. Airtame provides a full cash refund or free replacements in the case of damaged or faulty items. The reason for providing a no nonsense 30-day trial is that Airtame wants you to test the product and the features they offer to make sure you’re making the right decision that suits your needs. Interested to get Airtame or find out more? Visit their official website.